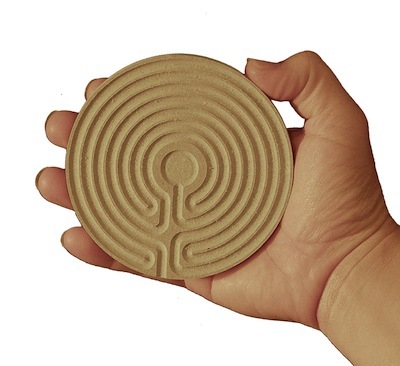 This 4″ Cretan miniPath design, inlaid into cutting board plastic, is a miniature replica of our 12″ Cretan finger labyrinth design. A miniPath® functions in much the same way as a finger labyrinth, (to further relaxation, meditation & prayer) except you use a stylus rather than a finger to move through the design (the paths are too narrow for a finger to use). They are designed to fit in a pocket, purse, briefcase or sit on a desktop. Whether at home, work, school, in a car, train or airplane, This Cretan miniPath is ready to use anytime for greater relaxation, personal focus and guidance. 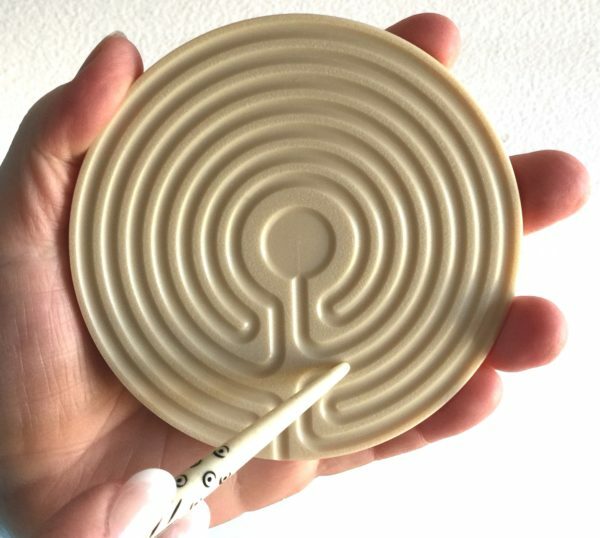 Included with your Cretan miniPath is a stylus, velour carrying pouch (which doubles as a non-sliding surface on which to rest the miniPath®), and information pamphlet about the design and directions for use.